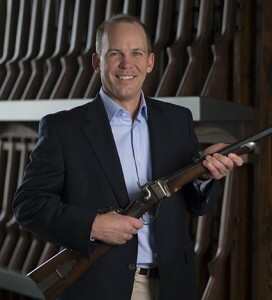 Editor’s Note: Pete Brownell, and Brownells as a whole, were among the first big established companies in the firearms industry to really embrace new media and recognize it as a valuable resource for firearm enthusiasts, industry members, recreational shooters and others to participate in the timely exchange of information. In addition to supporting new media, Pete has been an strong and unwavering supporter of Second Amendment rights. GunLink is proud share his announcement that he will seek a third term on the NRA Board and add our endorsement to the list of others supporting him. The NRA Board of Directors needs more members like Pete Brownell! NRA First Vice President and CEO of Brownells, Pete Brownell, announced this week that he will seek a third term on the NRA’s Board of Directors. If re-elected, Brownell will likely become NRA President at the 2017 NRA Annual Meetings & Exhibits in Atlanta, Georgia. Proving himself as an ardent defender of the Second Amendment and a powerful voice for the NRA, Brownell was elected the NRA Second Vice President in April 2013. Two years later in 2015, he was elected NRA First Vice President, an office he holds today. Brownell is proud to have received support from prominent members of the firearm community, including host of “Tom Gresham’s Gun Talk Radio,” Tom Gresham. Brownell has also earned the endorsement of the Iowa Firearms Coalition (IFC), the leading pro-Second Amendment organization in his home state. To learn more about Pete Brownell, to get in touch with him or to read more endorsements, visit www.petebrownell.com.